Peace. Love. Unity. Respect. With 2013 ending and the holiday season upon us, what makes for a memorable Philippines' first, biggest and grandest outdoor music festival is the sum of all the amazing people in the crowd, the best music, and most importantly, the endless excitement on every beat dropped and the no-stopping-the-fun experiences. Last December 14, almost everyone—club kids and EDM enthusiasts among others—stylishly gathered at the Circuit Event Grounds, Makati City to celebrate a day of great music and good cause (for the Super Typhoon Yolanda victims) at the Exception Music Festival 2013. Co-presented by Smart Music and SPINNR, BIGFISH International did a really good job on setting up Cicuit and turning it into a huge outdoor dance event of the year with the best artists line-up headlining Krewella, Arty, Dubvision, Jes, Ashley Wallbridge, SolarStone, Artic Moon, Estiva, Giuseppe Ottaviani, and many more! I came with the three J's: Janus, Joshy, and Janese. Getting in the area with long lines in the entrance, bumping into familiar faces and friendly smiles definitely gets the excitement grow more. Spotted were Elmo and Frank Magalona. And SolarStone on the TranceMission stage. and more people running towards the main stage as Arty heated the set. But the crowd went wild when Krewella finally took the main stage. Dancing while raining and still raving. And almost everyone was singing along. Please excuse the not-so-good audio for my camera was a little soaking wet. 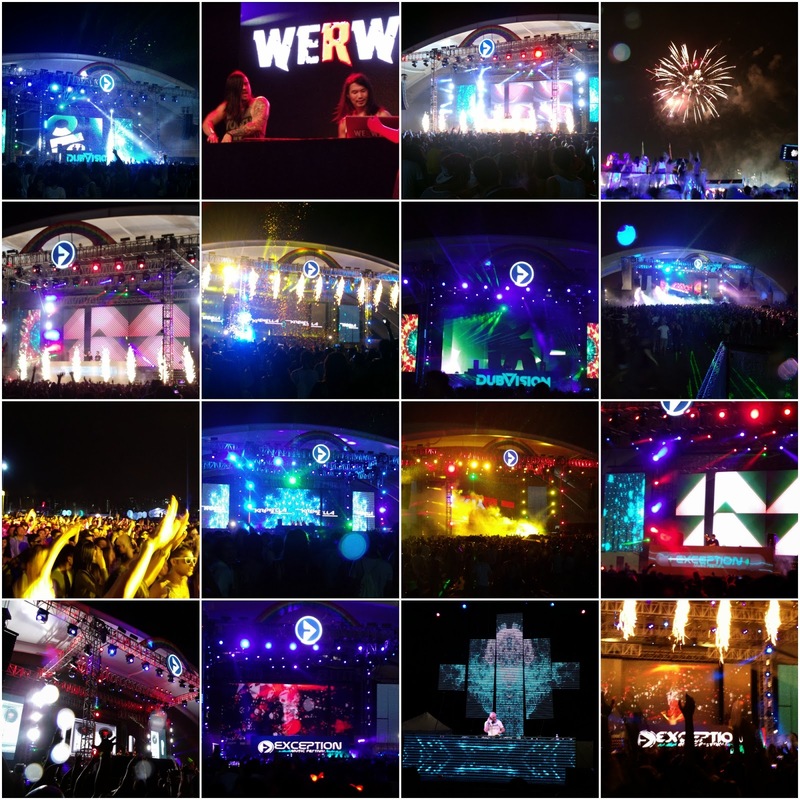 It was one of the best moments of EMF2013! And then, there's the fireworks! But if you were there too, I hope you had fun as much as I did. People were singing and dancing despite the rain, that just says how the party was so much fun. Wow! seems everybofy have a great fun. Sulit ang bayad. enjoyed the videos!! indeed it is a very nice experience and so much fun when you're partying in the rain! it doesnt happen that much in a party seen! im sure this is very memorable! Truly a city nightlife with lots of singing and other party activities. Hope the attendees enjoyed their time. Wow this is great music festival ever I knew for its non-stopping music experience for those who were in the group. Really looks like a fun event. A great way to end the year. Awesome! A great way to celebrate music with high spirit.